Marinate your sea bream (the longer the better) in lemon juice and salt. Have chopped mushrooms, onions and a couple of cloves of garlic. Use white wine, any really, as long as it’s not too sweet. Heat a little olive oil in frying pan and put your fish in, shallow frying for about 5 mins either side. Throw in the chopped mushrooms, onions & garlic, and with the fire low cook for another 4-5 minutes. Throw in a couple of large glasses of wine, or until the food is almost covered. Bring the fire back up until it starts simmering and then put on low again. Let it simmer with the lid on for about 20 minutes. Serve with rice, a tomato & rocket salad and a nice Pinot Grigio. You can usually find that what’s available on the market is from farms and probably a bit fatty, so don’t use much oil in frying it. If you have too much oil, empty it out before you add your veg. 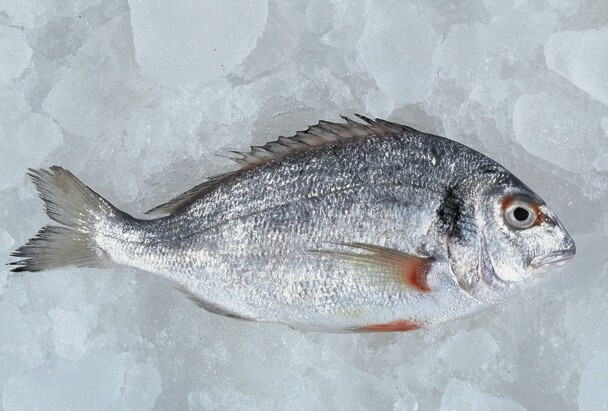 Sea bream is also called durade and is very similar to sea bass in flavour. Italian: orata, Greek: τσιπούρα (tsipoura), Turkish: Çipura. This entry was posted in cookery, fish, food, recipes, seafood. Bookmark the permalink.